Anyone that reads this site knows that I focus quite a bit on brewing water. This series is intended to augment my previous posts and expand on best practices in the brewery, recipe planning and approaches to different beer styles. While I have researched this content and crafted my own processes and procedures, there are many approaches. What I hope demonstrate is an approach that works with tools that are easily available, but do not be surprised if the information here supersedes some of my previous posts. This is not intended to be a comprehensive technical approach to water management in the brewery, rather a more applied and practical approach. In some cases, I have glossed over chemistry to get to the point, and in others, will try to spend a few seconds to detail a decision. At the end of the day, I maintain that each brewer must approach water chemistry in a manner that works for them, and provides the best result in the glass – thus it is subjective in application. My recommendations will tend to fit my personal preferences… and may not work for you. Following along will require some basic familiarity with software, such as BeerSmith 2.0 and the subscriber version of Bru’n Water spreadsheet. There are alternatives to both that you should explore and choose what works best for you. While I have no affiliation with either company, I use both extensively. The recipes in this series will be scaled to my system and efficiency unless otherwise indicated. I brew on a RIMS, and typically do 11 gallon batches with 80% efficiency. Feel free to convert the recipes, accommodating your system’s unique characteristics. In converting some of the guest recipes – I was forced to match gravity, color and bitterness by hand tweaking amounts of malt and hops and rounding some of the values to a manageable value. Where possible, links to the original recipes will be provided. 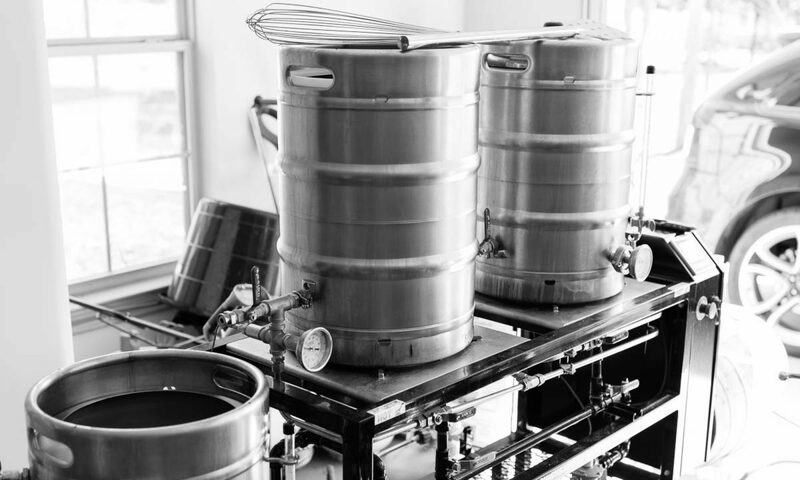 Please remember that I fully believe that the priorities for brewing quality beer begin with proper recipe formulation, targeting the right mash pH for full flavor extraction, excellent cleaning and sanitation and MOST important – proper fermentation temperature control. When dealing with brewing water, I always prioritize mash pH over mineral additions when a compromise is required. Where a good mash pH allows for full conversion of starches to sugars, it also allows malt flavors to be fully realized without astringency or other off flavor. Mineral additions are more like seasoning the final result and can have a dramatic impact on the final beer. Cleaning and Sanitation: Everything that touches your beer post boil should be clean (no dirt, debris or residual) and sanitized (using a product like Star San). Fermentation: Along with pitching the proper amount of yeast, fermentation temperatures are critical to yielding the right product. Read about and understand the character of the yeast you will be using and how you should ferment to produce the required levels of esters and phenols. Secondarily, let the yeast finish its work. Rushing the beer off the yeast creates problems with attenuation, and prevents the yeast from cleaning up any byproducts of fermentation. Recipe Creation: Building a quality recipe or finding one can be challenging and is a skill that I continue to learn. Your flavor profiles start with the freshest malts and hops. Brewing water is a consideration in the process, but should be used to tweak specific goals for the beer, such as a dry mouthfeel. That said, a beer that features excessive levels of sulfates may not be pleasant when the recipe is weak. Desired mash pH – This information has been gleaned from various online sources but is mirrored in the Bru’n Water spreadsheet. We will discuss various approaches to the featured beers, and the considerations made. It is the intent to demonstrate that while sulfate and chloride are the featured players, magnesium and sodium can back up and enhance certain characteristics. I am going to pretty much ignore residual alkalinity (RA) and the sulfate to chloride ratio for simplicity sake. Both topics are essential and useful discussions in water chemistry, and I encourage the reader to become well acquainted with the arguments, however, always apply them in context and with common sense. Declaring a sulfate:chloride ratio of 3:1 means nothing without a starting concentration. I tend to disassociate mineralization from targeting mash pH, despite their close coupling in practice. Adding minerals should target specific goals, such as a drier mouthfeel or increased malt character, but never push you away from a good mash pH. Mash pH should always be the priority over a few PPM of a given -ion. This also means you may need to compromise at some level, but do so to ensure the best possible result in the glass. If your mineral additions dramatically swing your mash pH away from your desired goals, you should rethink those goals. Keep in mind that matching say 200 ppm of bicarbonate in a water profile may require a significant addition of acid to counter that alkalinity – resulting in more -ions than necessary to meet a mash pH requirement, and a potential to create or influence unintended flavors. Also – keep in mind that baking soda and pickling lime (our alkali additions) are not equivalent and that lime in particular creates hydroxides that are ‘calculated’ as bicarbonate and carbonate in many spreadsheets for convenience, accurate only to the effect in the mash, not the actual -ion contribution. Our choices of additions, both for mash pH management and for water profiling, will have an effect (positive or negative) on the final product. Because we are dealing with brewing water, it is important to choose a source that is convenient, safe (potable), and consistent. Many municipalities provide water that is nearly ideal for brewing a variety of beers styles, moderate or low mineralization and low alkalinity. Other regions are plagued with extremely hard water or high alkalinity, and must be moderated through extreme measures or diluted with distilled or reverse osmosis waters. Softened water usually contains extreme amounts of sodium and is not acceptable for brewing. Always, use slow flow active charcoal filters to remove chlorine and potential off flavors. In addition, I recommend the use of Campden tablets to deal with any residual chlorine and specifically with choramines which will pass through the filter. This ensures that the water is free of any sanitation chemistry required to deliver good drinking water to your house. Have your water tested by an independent lab to determine your brewing ion concentrations. You are looking for brewing related -ions and most general tests are not adequate. Ward Labs is a great choice and offers a homebrewer specific test. If your water is tremendously high in certain -ions, seek some advice on it’s suitability for brewing. Not all good tasting water will make good tasting beer, despite the popularity of the saying. As an alternative, I recommend the use of reverse osmosis water as the most consistent and flexible liquor source. RO filter systems have become inexpensive and easy to install. Their downsides include a slow fill process, usually a few gallons per hour, and large amounts of waste water. You need to consider this in your decision. A RO filter that is behind a water softener will prove the most effective solution. You may also choose to purchase RO or Spring water from your grocery store, usually in 5 gallon containers for just a few dollars. You will want to make sure the system is maintained regularly. An inexpensive Total Dissolved Solids (TDS) meter can help you determine if the machine maintenance is adequate. You want low and consistent numbers for RO systems. Consistency is a very important consideration. If you are using municipal sources, do some research. If you water comes from different springs or reservoirs or is subject to seasonal issues from road run-off or agricultural processes, then you will need to learn how to deal with those issues and change your procedures as required. Again, RO water largely solves this problem. 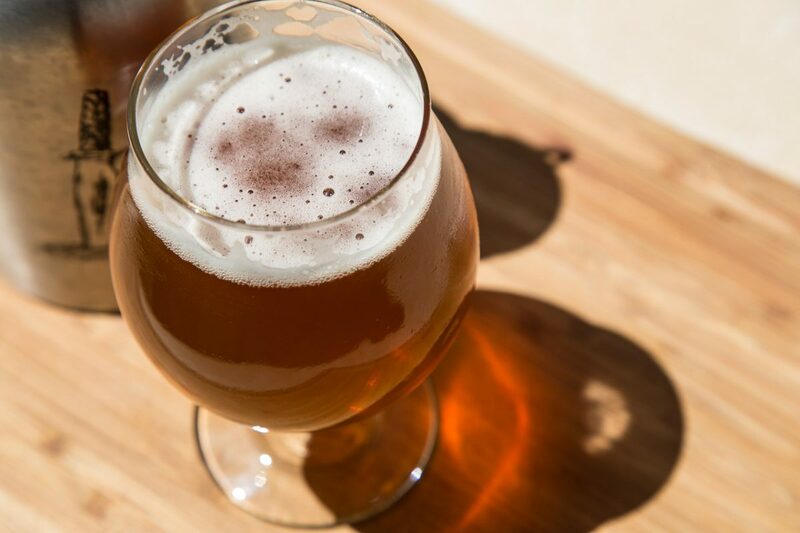 In the following posts, we will address some water chemistry basics, look at some recommended best practices and explore approaches to a number of different beer styles using Bru’n Water to help manage our chemistry. Below are sources that I have explored in learning about brewing chemistry. Reading you will see that our common thoughts on water have evolved rapidly in the home brewing world. Learn to test and experiment and apply what you learn. I am really looking forward to this series! I use a different spreadsheet and make a lot of assumptions and try to base future water adjustments based on past success. But I know I could be making Mich better beer with proper water adjustments. Thanks Brett. This should be fun… and hopefully will get many folk’s perspectives lined up. Previous PostPrevious Brewing Water Series: What is the Best Water?